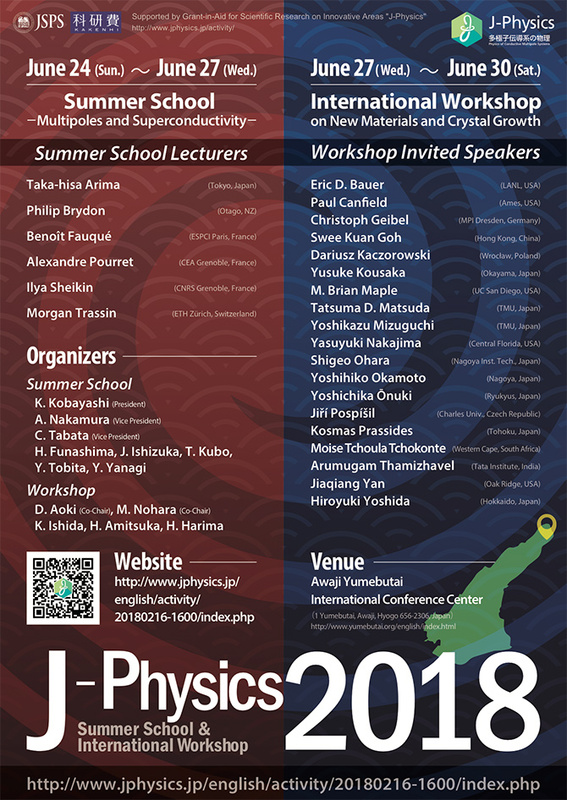 The aim of these successive academic meetings is to discuss the recent progress on the physics of multipole conductive systems in f- and d-electron compounds. In the workshop, the main topics are crystal growth and new materials to open up the frontiers of research area. 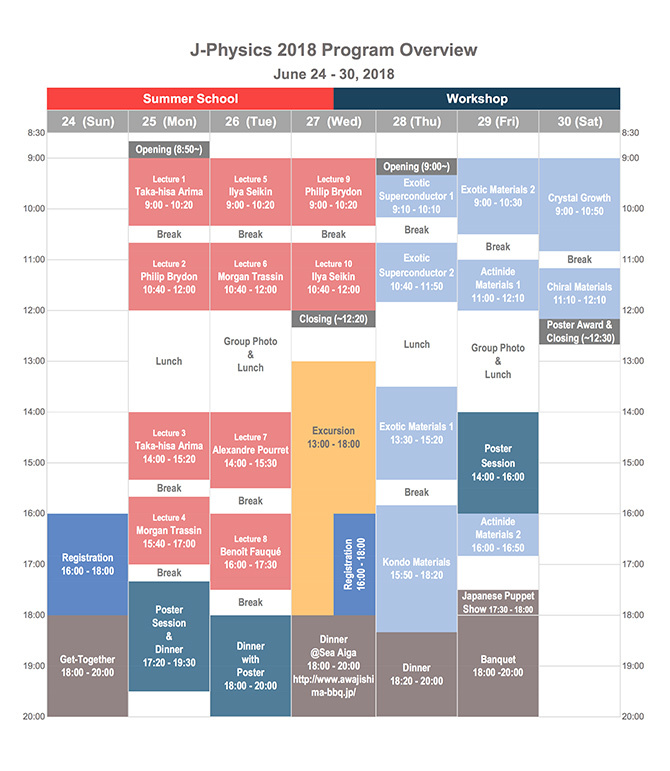 The summer school focuses on more broad and tutorial topics which cover experimental and theoretical aspects given by distinguished lecturers. Copyright © 2015「J-Physics：多極子伝導系の物理」 All Rights Reserved.